Large, Fluffy and Buoyant Can Be A Good Thing! Check out Nell Stephenson’s Paleo Nutrition and Fitness website and blog for helpful information on going paleo. 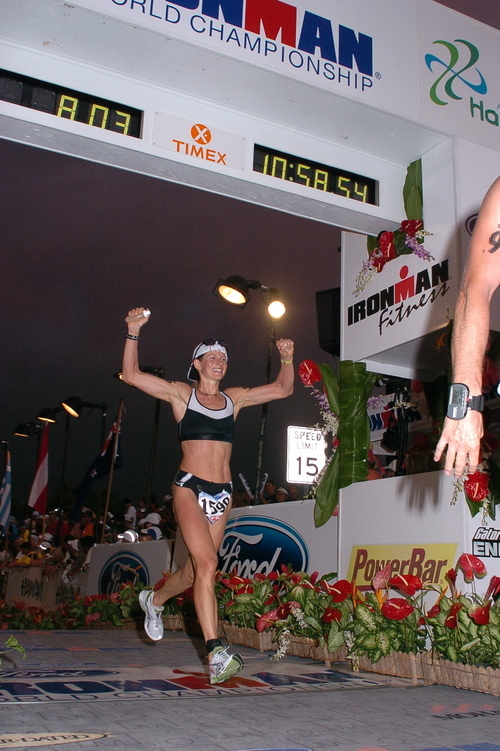 In addition to holding a BS in Exercise Science and working closely with Dr. Cordain, Nell is also a Ironman Triathlete. She offers Training and Paleo Nutrition plans on her website for Ironman athletes, endurance athletes, children, brides, and folks looking to lose weight and optimize their health. 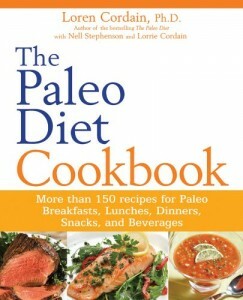 I also highly recommend The Paleo Diet Cookbook which she recently co-authored with Dr. Cordain! Fads fade with time, but this has not been the case with the Paleo Diet. As Dr. Cordain states in his revised edition of the Paleo Diet, the popularity of Paleo Diet has exploded since it was originally published in 2002. Why? It has a lot to do with “the masses” following Robb Wolf’s Paleo recommendations as the “once upon a time” nutrition guru of CrossFit. 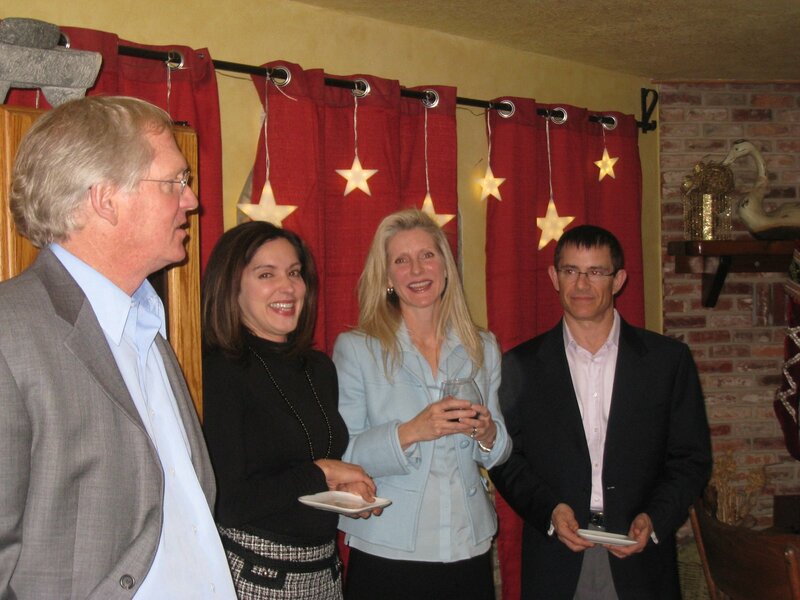 Dr. Cordain also states in his new book that “electronic interconnectedness” has exploded in the last decade making information that is relevant to our lives easily accessible through emails, websites, and blogs. But the main reason the Paleo Diet has grown in popularity within Crossfit and the electronic community is because it actually works. Being healthy and losing weight is not about counting calories or measuring food. 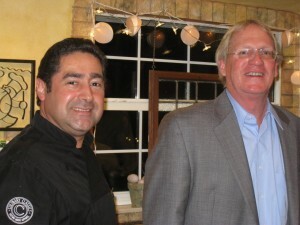 As Dr. Cordain lectured this Thursday evening, it’s about eating in accordance with our evolutionary ancestral diet. We evolved for millions of years on a diet of nutritious minimally-processed wild plants and animals. Since the onset of the agriculture revolution some 15,000 years ago, we have increasingly displaced this nutritious diet with highly-processed, refined foods. Researchers are now beginning to recognize a strong correlation exists between our modern diet (the highly coveted USDA Food Pyramid), metabolic syndrome, and autoimmune disease. What we typically eat on a daily basis is making us very sick. Scary. How do you stay healthy? Not by counting calories, but by avoiding all varieties of grains (wheat, corn, rice, etc), grain-fed meats, legumes (including soy and peanuts), dairy products, refined sugars, refined vegetable oils, salt and processed foods. What’s left? A diet of natural foods: lean meats that are grass-fed, wild-caught fish, vegetables, fruits and the “good fats”. It’s that easy. This is how you can take control of your own life and prevent (and in most cases reverse) chronic inflammation, metabolic derangement, acne, acid reflux, asthma, etc. You can also prevent hundreds of auto-immune diseases that may develop over time due to Leaky Gut Syndrome (see “Got Leaky Gut?”). Leaky Gut Syndrome has been implicated in auto-immune disease and is believed to be caused by grain, legume, dairy and nightshade vegetable consumption. 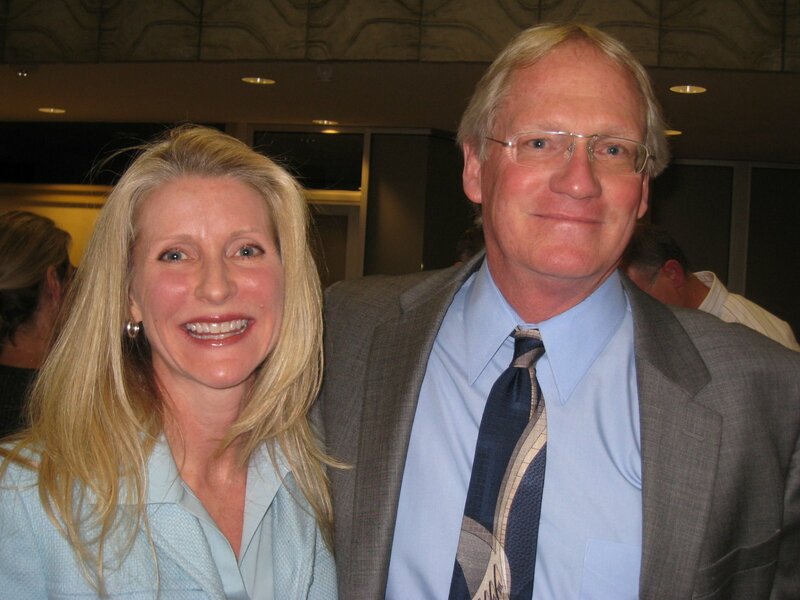 Special thanks to Dr. Ken Ford of the IHMC and the many sponsors involved in bringing Dr. Cordain to Ocala so that others may benefit from his work. It was wonderful to have an opportunity to express our gratitude for the personal successes we have each experienced by applying his life’s research in our own lives. 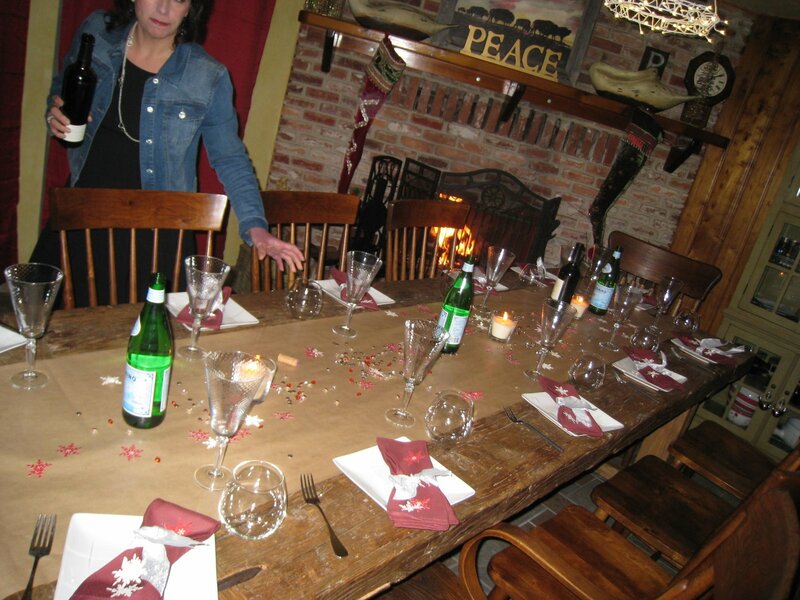 Erin Rosas adding the finishing touches to a beautiful table! 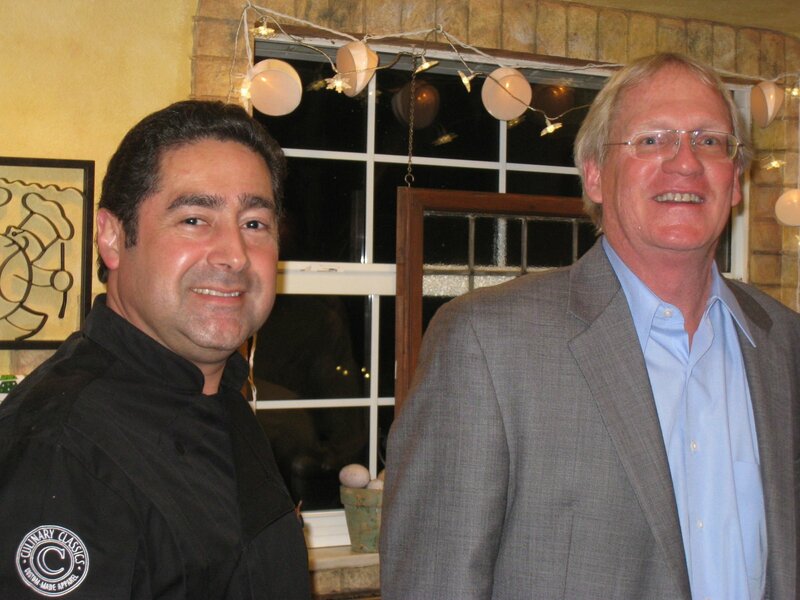 In additional, a heartfelt thank you to Al and Erin Rosa of Rosas Farm for creating a truly enchanting gourmet paleo event in their home following the lecture. 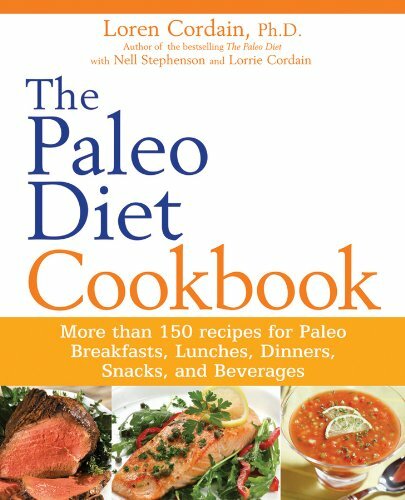 Based on our experience with them that evening, with much anticipation I’m hoping they will soon publish a gourmet paleo cookbook so that we may all re-create Al’s paleo gourmet magic in our own homes! In the meantime, please visit the Rosas Country Market which is well stocked with organic and completely grass-fed beef, pork, poultry, eggs and wild-caught sea food. They also offer their own line of organic seasonings and the best organic barbecue sauce I have ever tasted (and the only one I’ve ever seen that does not list “corn syrup” on the label)! An evening of incredible food and great conversation! Wow – this was a good read! Basically just finished pouring through, page by page, the long awaited Revised Edition of The Paleo Diet by Loren Cordain, PhD. Not sure if it’s because I’ve been doing this a while or recently finished a fantastic webinar with Matt Lalonde (the Bill Nye of Nutrition) – but this was a much easier read than Dr. Cordain’s first book written in 2002! The revised edition is definitely “new and improved”: it’s informative, provides thorough explanations of the science behind the diet, and cites numerous studies as they apply to the Paleo Diet. I strongly encourage those who are interested in better understanding the science and research behind the Paleo Diet to order this book. His presentation is convincing. 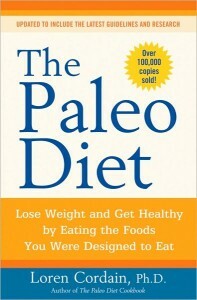 By following the Paleo Diet you will not only lose weight, but also prevent future disease. Sounds like a great Christmas gift for someone you love! Mark Sisson would be proud to read Dr. Cordain’s revisions on “recommended oils” – he now puts canola oil on the “foods to avoid list”. Allowed oils are basically culled down to four: olive, flaxseed, avocado and walnut oils. Dr. Cordain has “softened his stance” on saturated fat. Based on the latest research he now believes the original view of “artery-clogging saturated fat” is incorrect even though he states saturated fat, specifically lauric acid, myristic acid and plamatic acid (but not stearic acid), elevates blood cholesterol. New research points to the role inflammation plays in artery-clogging plaques and heart disease. Unless your immune system is chronically inflamed, atherosclerosis from saturated fats “will not likely kill us from either heart attacks or strokes”. 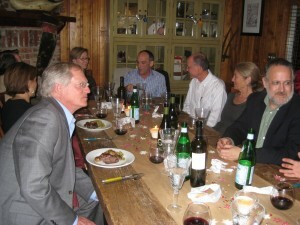 He continues to drive home the point that by following the principles of The Paleo Diet, you will be protected from dangerous low-level inflammation that has been shown to occur from eating a diet of grains, vegetable oils, sugar, legumes, dairy products , salt and/or processed foods (Neolithic or Modern Foods). Dr Cordain also discusses at length the mechanisms that contribute to the development of Metabolic Syndrome and concludes time and time again that by following the Paleo Diet you can halt and in many cases reverse the progression of Type 2 Diabetes, High Blood Pressure, Heart Disease and Dyslipidemia. As a woman, I especially enjoyed his in-depth discussion of the role high carbohydrate diets may play in breast, colon and prostate cancers. A high carb diet results in high insulin levels which increase IGF- 1 (a powerful growth hormone) and decreases IGFBP-3 (which regulates out-of-control cell growth). In other words, high insulin levels can promote the unregulated growth of cancer cells. And the most exciting meaningful part of the book to ME? Wine is now “allowed” in moderation citing health benefits that may result from an occasional glass of wine. But don’t go overboard; we’re talking a 4oz glass on date night! If you have an auto-immune issue of any sort, alcohol is NOT permitted. Alcohol has been known to increase gut permeability. I also received The Paleo Diet Cookbook: More than 150 recipes for Paleo Breakfasts, Lunches, Dinners, Snacks, and Beverages. Again – another highly recommended book. We ate the “Beef Stew with Vegetables” for dinner tonight and had “Lorraine’s Strawberries with Creme” for dessert. 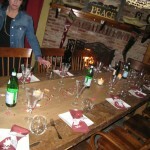 Everyone left the table happy and satisfied – that’s not bad when you’re feeding two teen boys!